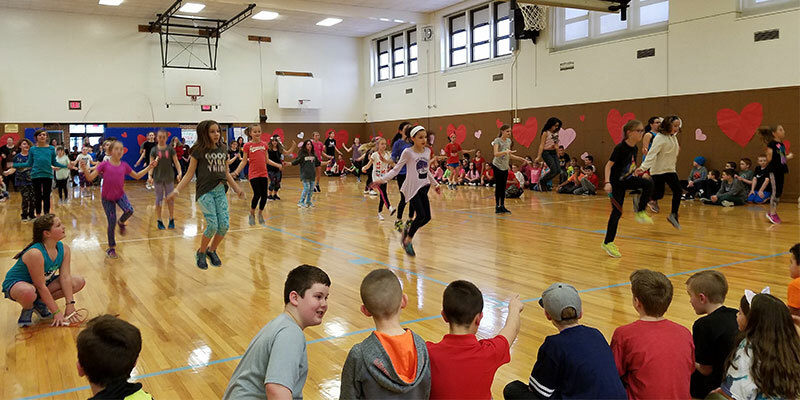 In honor of American Heart Month, Joseph A. Edgar Intermediate School students and staff members participated in the annual Jump Rope for Heart event this February. During the after-school program, students had the chance to demonstrate their jump-roping skills to the beat of popular music, and through their participation collected donations for the worthy cause. Students participated in a “free jump” event before competing in grade-level challenges to determine who could jump rope the longest. Under the leadership of physical education teacher Maria Amoscato, the students helped to raise more than $11,672 for the American Heart Association. Jump Rope for Heart is an annual program sponsored by the American Heart Association to raise not only awareness of heart-health issues, but also funds for continued research.